The processing of information for supporting human knowledge based processes still represents a big challenge. This is caused both by the abstract concept of the information and by missing a suitable information representation (how to represent human knowledge), which would enable a human—computer communication in natural language. However, any interdisciplinary definition of “information” or even “knowledge” does not exist until now. 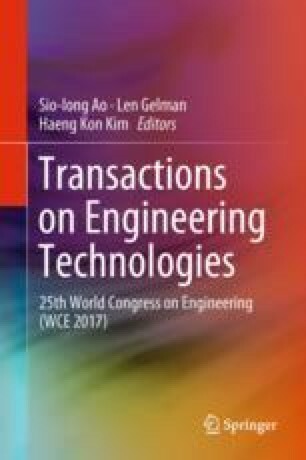 In the period 2010 to 2012, the authors presented their research approach to the automation of teaching processes as typical human knowledge based processes within the WCE’s International Conference on Education and Information Technology. The following research showed that solving the automation of the knowledge processes requires one to solve not only a content knowledge processing but also issues of communication, transmission and feedback. Actually, the research covers some areas of computer science (e.g. computer applications, computing methodologies, theoretical computer science). The question of the information was solved by the design of a specific default data structure so called virtual knowledge which enables an individual to communicate with computer in natural language. In this context, the virtual knowledge unit symbolizes an information representation for human knowledge which is readable both by a human and machine. Such approach enables one to input any kind of information from human resources into the virtual knowledge and to process human knowledge as it is typical for computers. This contribution illustrates how various kind of information from human sources are processed by the in-house software BIKE. It also enables one to understand why the software works as an all-in-one tool when processing human knowledge which is inputted into the virtual knowledge. In addition, the information transmission in the knowledge based processes was solved by a specific utility model for processing unstructured data.